Some time ago, Ben needed help sewing a button onto a jacket. I've watched him do it before and it was just painful to watch, painfully slow. So I asked if I could do it, while he watched. The first step, tying the knot onto the thread, is where he stopped me and asked me to do it again in slow motion. So I did, he was amazed, and I was amazed he didn't know this trick. 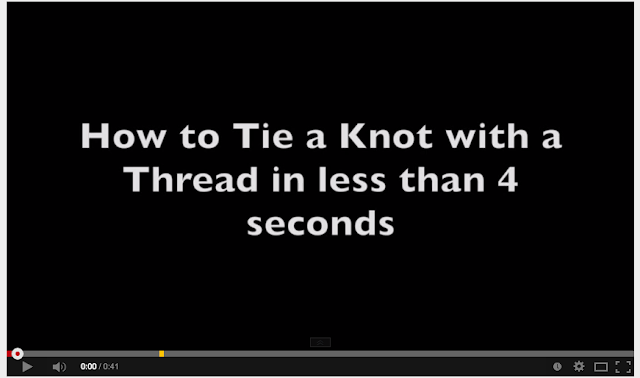 So just in case there are others like my hubby, here is a video with real-time and slow motion on how to tie a knot on a thread. What has surprised you that you thought was common knowledge?